R2B: Return to Base is set to open in 13 cities across North America starting with Los Angeles on August 24th. It will then open in San Diego, Seattle, Dallas, Atlanta, Washington, D.C., Philadelphia followed by New Jersey, New York, Honolulu and both Toronto and Vancouver in Canada. The film will then open in Chicago on August 31st, its last North American release date. 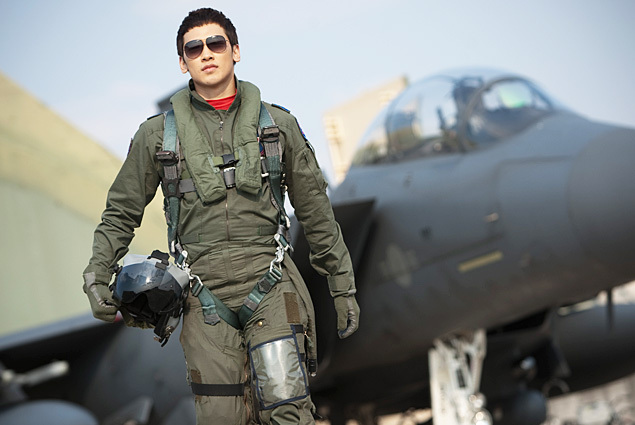 Many overseas buyers have expressed interest in the film's stellar aviation scenes and many audiences abroad are eager to see global star JUNG Ji-hoon (Rain) act as the film's bad-boy protagonist. The film's numerous North American release dates reflect the international film community's positive appraisal of the film's spectacular flight scenes, all of which were produced domestically without Hollywood assistance. R2B: Return to Base has already been pre-sold to 30 countries and its producers are hoping for an even better return once it's released in North America.